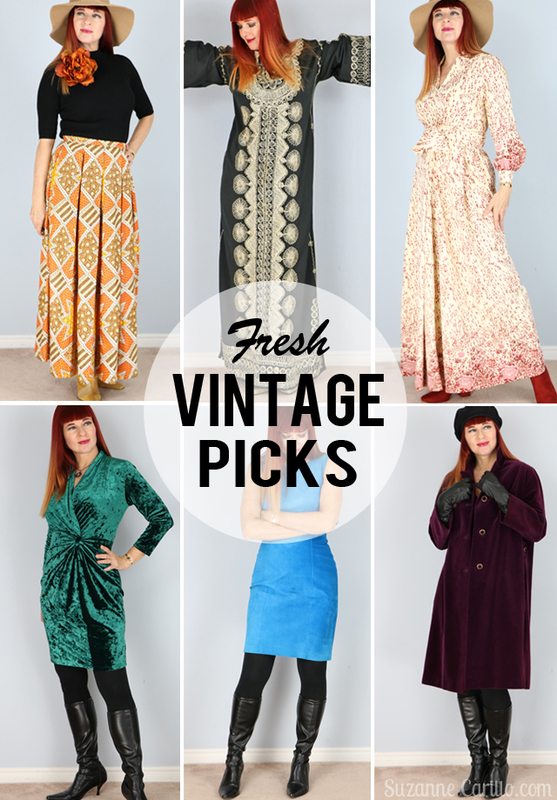 I’ve been busy as a bee updating Vintage by Suzanne and thought I’d share some of my newest choice vintage listings with you. This is one of those “never-find-it-again” pieces. I wouldn’t be selling it if it fit me. Beautiful 1960’s velvet car coat with pockets, size medium. The velvet is so plush and soft! The lining is pretty awesome too. 1990’s retro satin maxi dress, size small/medium. Normally I won’t buy 90’s “vintage” (since I don’t consider it true vintage) but this was too good to pass up. Vibrant bold 1980’s blouse with ruffle collar size small/medium. This blouse reminds me of Prince…and that’s a good thing. 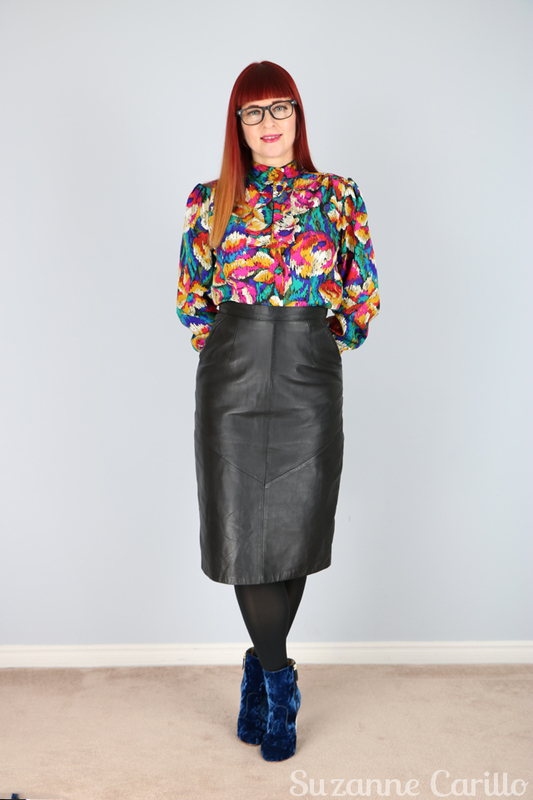 Classic 1908’s black leather pencil skirt, waist 28″. This skirt would be a great building block for any wardrobe. Did I mention it has pockets? Patterned pleated vintage maxi skirt, waist 26″. First time ever a pleated maxi dress doesn’t make me look huge. Vintage patterned maxi dress, size XS. Lovely long sleeved patterned maxi dress, size small/medium. The pattern variation on this dress really caught my eye. Va va voom, 1950’s inspired brown satin wiggle dress, size small. I didn’t think this would fit me…but the fabric is very stretchy and forgiving. Wild 1970’s patterned blouse, size medium. This blouse surprised me. I’m diggin’ the groovy pattern. Unique grey leather pencil skirt 1980’s with very cute rear box slit, waist 28″. You have to see the back of this skirt. 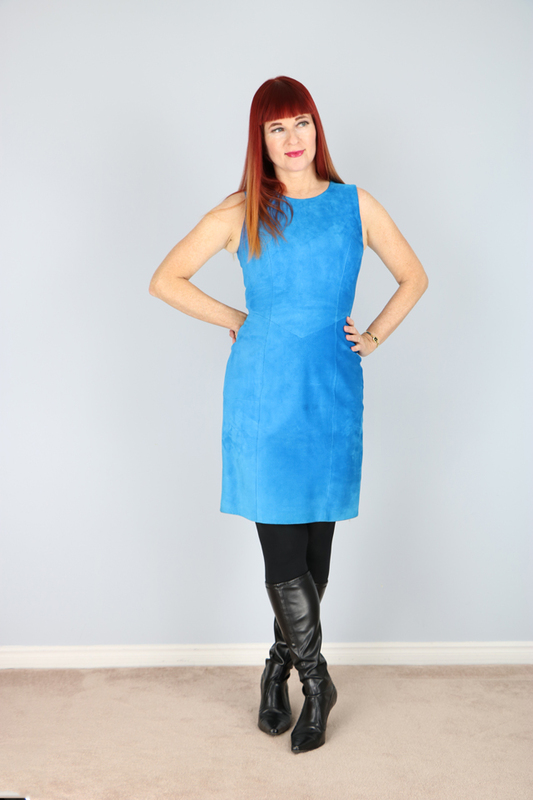 1980’s vibrant blue suede dress, size small. I’ve styled this with a turtleneck as well for a fall version of this dress. 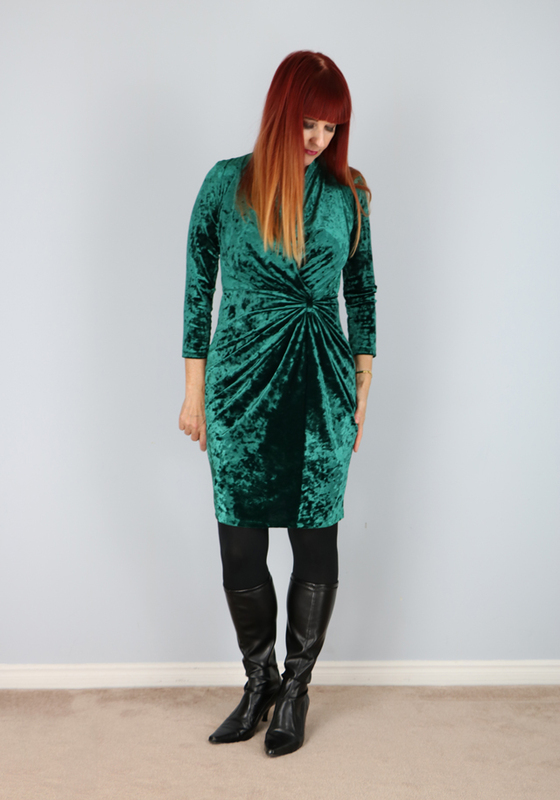 Awesome emerald green crushed velvet dress 1980’s, size small. A great Christmas or New Year’s dress. On Friday I went to an amazing estate sale where I picked up even more one-of-a-kind pieces which included a 1940’s velvet deep blue wedding dress and black floor length 1940’s opera coat. All of the pieces I picked up are hand made! I cannot wait to share them you : ) I’m still trying to decide which pieces I am willing to part with, I’m a sucker for pieces that I know no one else will have. You really do have quite a collection Suzanne. My favorite is the grey leather skirt, zigzag blouse, and red boots. If I was still working I’d seriously consider a purchase but I rarely wear skirts anymore. I love that you’re a Prince fan. My husband gre up in a small town just west of Minneapolis and we went by Paisley Park every time we visited my in laws until very recently. We’re very proud of our Prince and Bob Dylan here in Minnesota! I’m trying to stick with more items that I’m able to still wear if possible in case I’m unable to sell them. What a fabulous spread of outfits Suzanne. 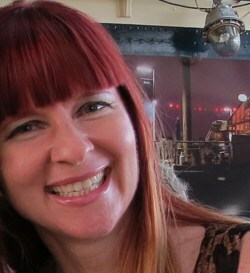 The brown wiggle dress offers the most temptation for me, but I’m on a mission to downsize my closet too, otherwise…. I’ve promised myself that I’d sell some before I buy any more, so wish me luck too! The orange maxi skirt is gorgeous, as is the Prince shirt, oh what lovely colours. Good luck with the sales my lovely! Love going through all of your posts. So many beautiful pieces. Some cracking pieces there, Suzanne. Modeled to perfection. that kaftan is glorious, I’d want to loll about on a rooftop terrace in down town Marrakesh and make like Talitha Getty in it. That velvet coat…so gorgeous! Apparently I’m on somewhat of a velvet bender lately…lol! First time here and came over from Vixen. I looked and looked at all those fashion and some I do recall. If you fine the time stop in for a cup of coffee. Great picks Suzanne! Love the groovy blouse, and gorgeous maxi skirt! You look fabulous, and that caftan is spectacular. The velvet coat is yummy. I also love wearing one of a kind pieces. Really beautiful pieces, especially the velvet coat! You have such a great eye! Every piece that you feature is beautiful! I share your love for estate sales. Can’t wait to see your finds! I found the estate sale of the year a few weeks ago, and the pieces that I found are extraordinary. Can’t wait to give them new life! Wow! You really have some gorgeous pieces in your shop! 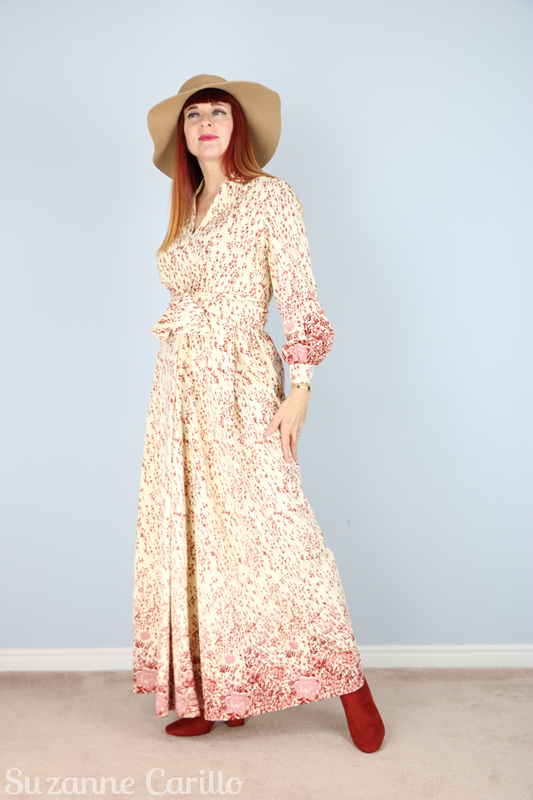 In this selection my favorite is the cream maxi with the pink floral pattern–lovely! Some beautiful piece. I loved the maxi skirt, the kaftan and the 50s cocktail dress. Everything looked amazing on you. I wish we had estate sales here in the UK. Sometimes people have ‘garage sales’ but it’s usually household items and toys on offer. They seem to be very common in the USA and Canada. I do have a 1930s/1940s enamelware flour bin that I bought at a garage sale in the 1980s for 10p though! 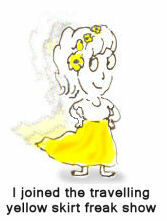 You have such fabulous taste in clothes Suzanne!! Some beautiful pieces here – I particularly love the embroidered Kaftan, but I buy things like that and then end up not wearing them. They need to be worn by someone who has more “lounging around” time than I do. Wish the grey leather skirt was larger, but oh well. I need to start wearing the leather that is already in my closet now that fall is here. Hee hee. When I saw the title of your post, I thought well I lean more immature than mature but decided to have a peek anyway! You’ve got some great things, and I love that kaftan and purple velvet coat. 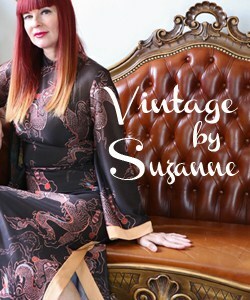 Superb vintage collection ,i love this embroided kaftan. 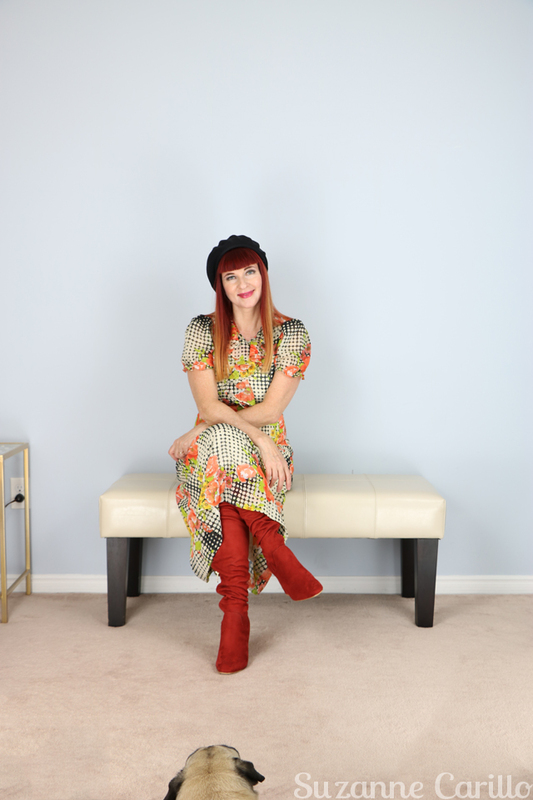 You are showcasing some wonderful vintage pieces. Accenting many of them with the black beret or tan hat just adds to their timeless style. Thank you for participating in Hat Attack! You have a gorgeous figure. I love those over the knee rust boots.